George Mullins in Food on 28 December, 2018. When people hear ‘Japanese Food’ their minds may have a tendency to think of Sushi and Sashimi. While these dishes are tasty in their own right, today I’d like to expose people, who might be afraid of raw fish, to some other equally as delicious Japanese foods. So, get your chopsticks and soy sauce and let’s get stuck in! Okonomiyaki – A fried savoury pancake, with cabbage and many other ingredients, topped with bonito flakes (dried tuna), mayonnaise and okonomiyaki sauce (a sweet sauce). 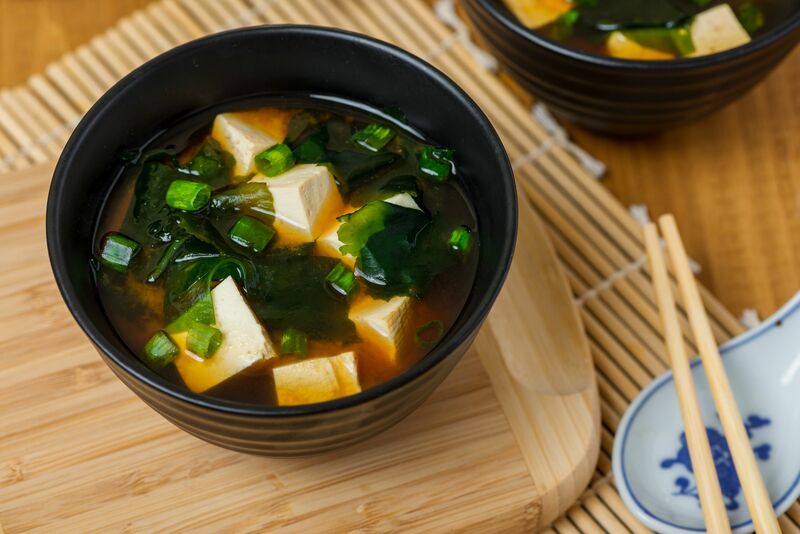 Miso soup – A traditional Japanese soup, made with dashi (fish stock) and miso paste. The ingredients found within the soup vary from region to region and from season to season. But tofu, seaweed and green onions are common. Udon – A thick noodle served in a dashi broth and garnished with green onions. They are white and chewy and can be served cold too. Tempura – Lightly battered and deep-fried seafood and/or vegetables. Ebi tempura (shrimp) and Nasu tempura (aubergine) are among the tastiest. It can be served as an appetiser, on top of noodles or as a main dish. 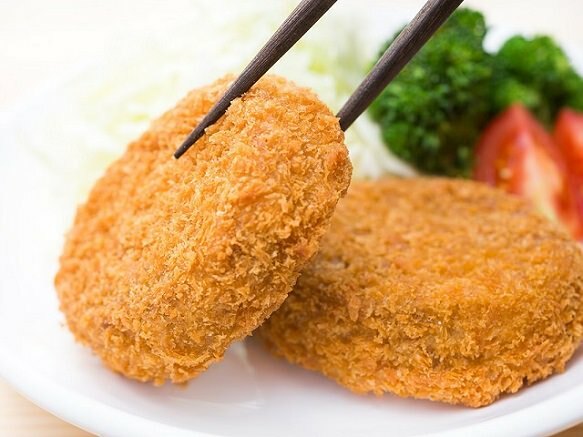 Korokke – Japanese croquettes. Potato patties that have been breaded and deep-fried. Often sold as a casual food in convenience stores. Natto – Fermented soybeans. Often eaten for breakfast and on top of rice. They have a potent smell and flavour and are extremely sticky. They are certainly an acquired taste! 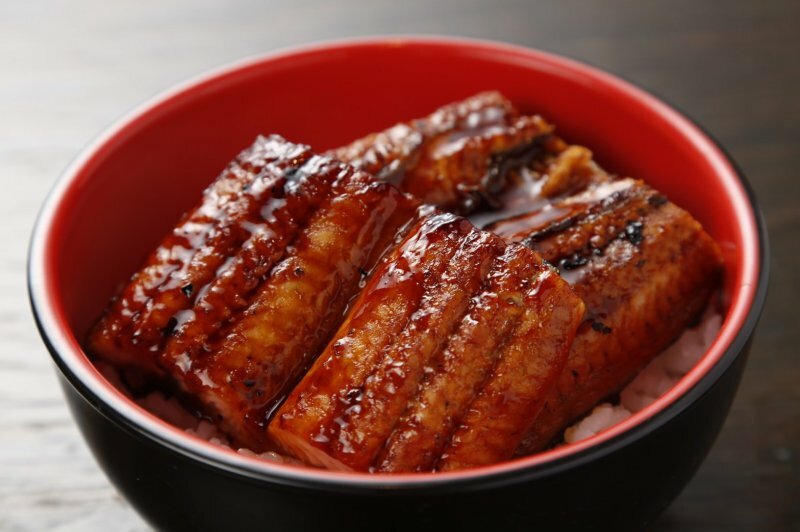 Unadon – Unagi Donburi, or grilled ell on top of a bowl of rice. The ell is glazed in a sweet and thick soya based sauce: it is crispy on the outside, but tender in the middle. It is a calorific dish but provides people with great strength and vitality. Melonpan – And something sweet for desert. 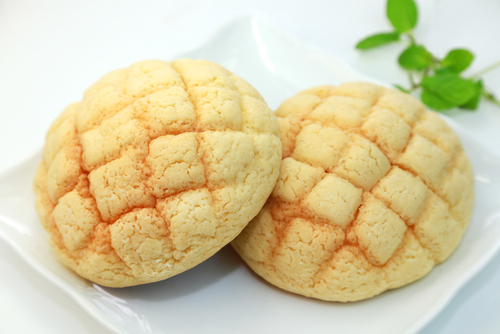 Melonpan is a sweet fluffy bread with a sugar covered crust. It resembles a melon aesthetically! I have only selected a very small number of Japanese foods that I personally enjoy. But in doing so, I hope to have displayed that Japanese food is much more than raw fish and sticky rice. I hope you will enjoy trying some of these appetising dishes in the future.